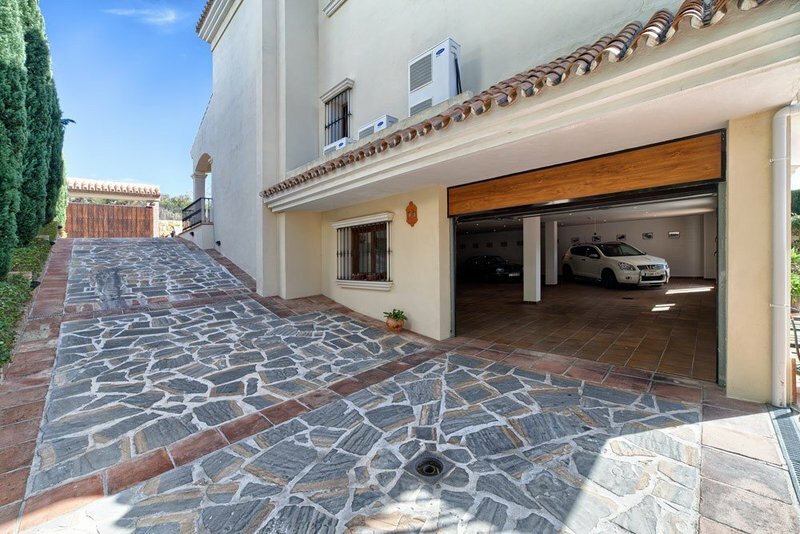 This quality family villa benefits from a south-west orientation , and a large plot of 1.090 m2 with private pool and plenty of space for entertaining. 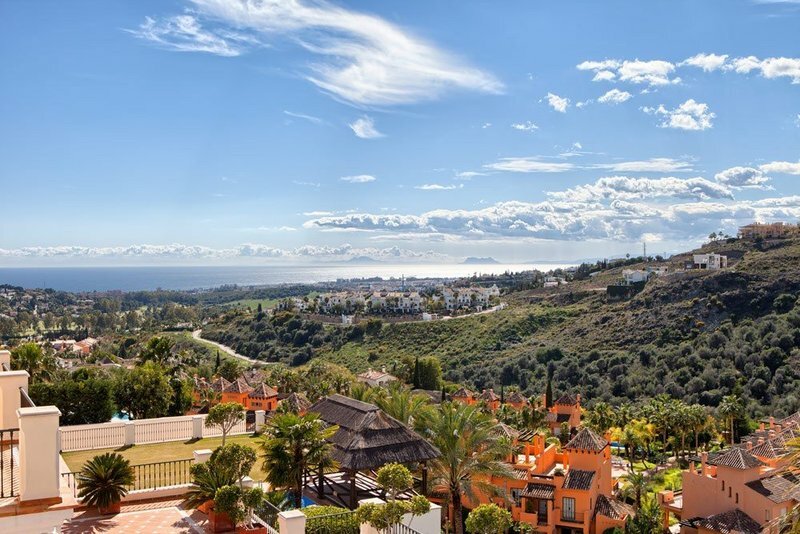 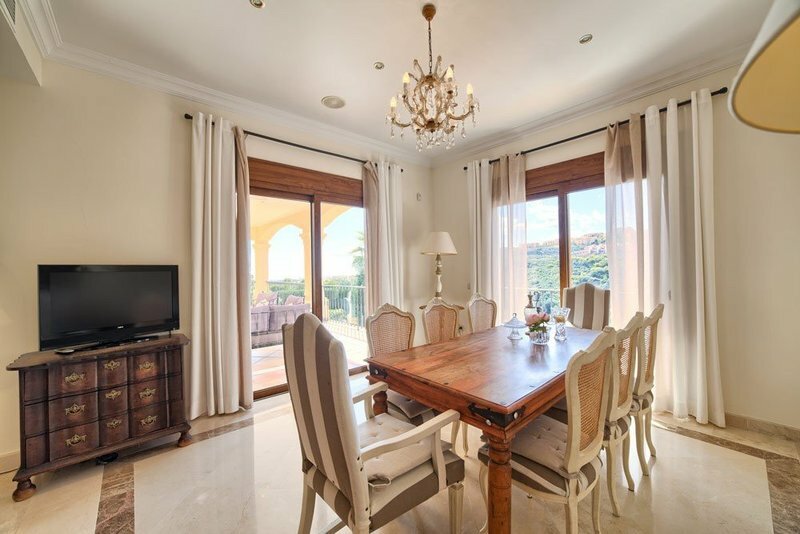 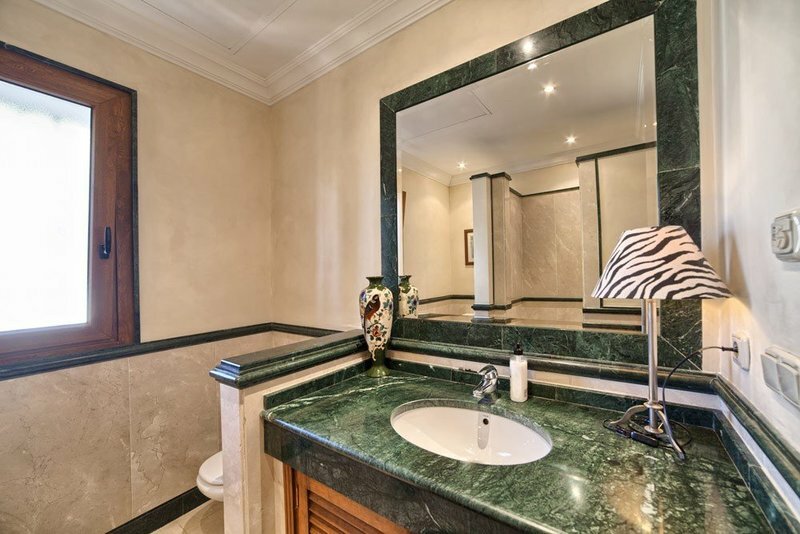 The house is located within a luxury villa complex , close to all the amenities, and at a short driving distance to Puerto Banus, Marbella, and the best beaches of the coast. 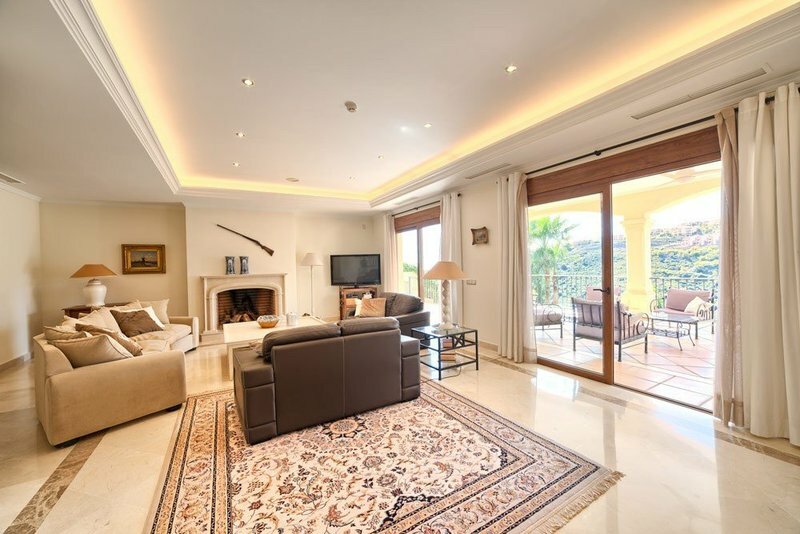 Main floor: Living area with beautiful high ceilings and fireplace, fully fitted kitchen, one guest bedroom suite (now used as separate dining area), guest toilet, and direct access to the terrace. 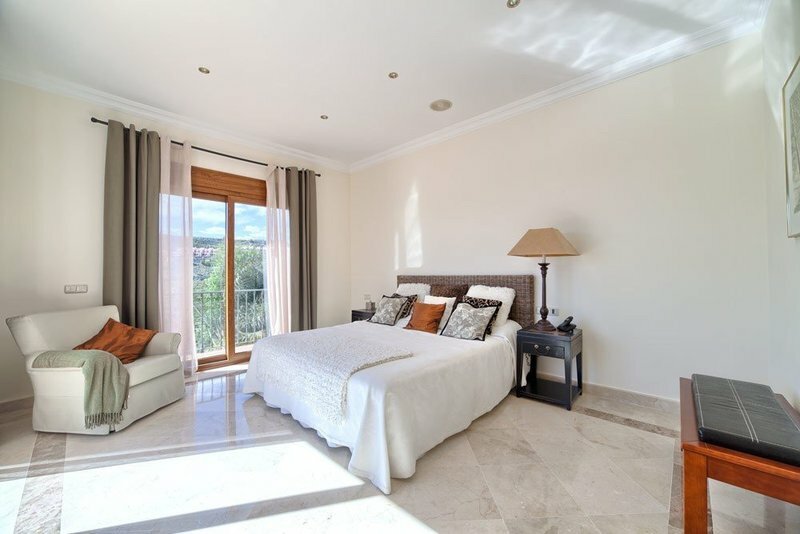 Upper floor: Master bedroom suite and 2 guest bedrooms suite. 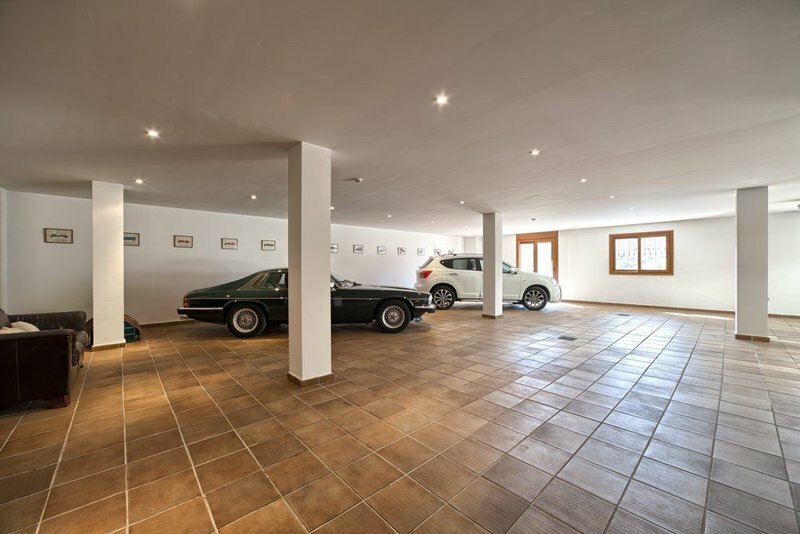 Lower floor (garden level): Guest bedroom with bathroom (or staff quarters), storage and large garage for up to 5 cars. 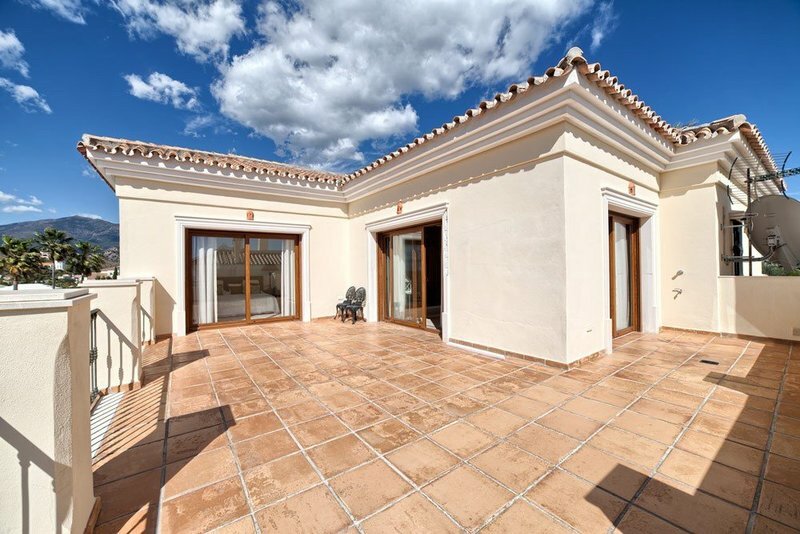 Direct access to the private garden and pool area. 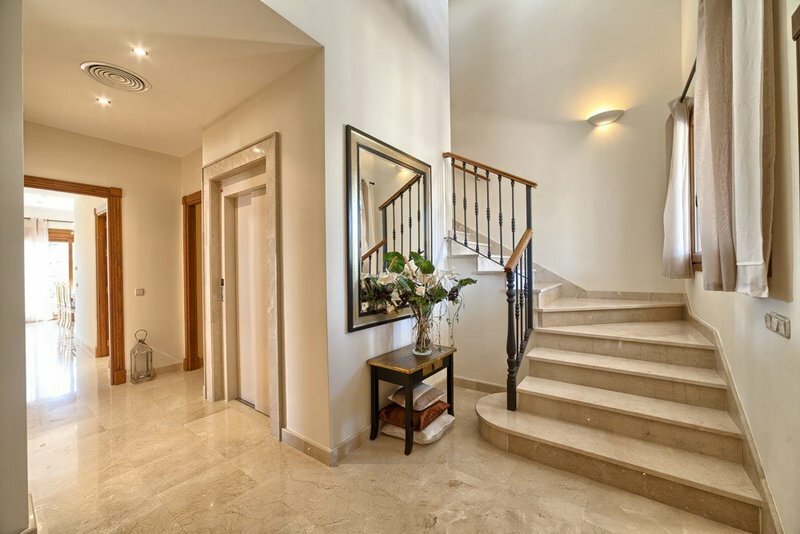 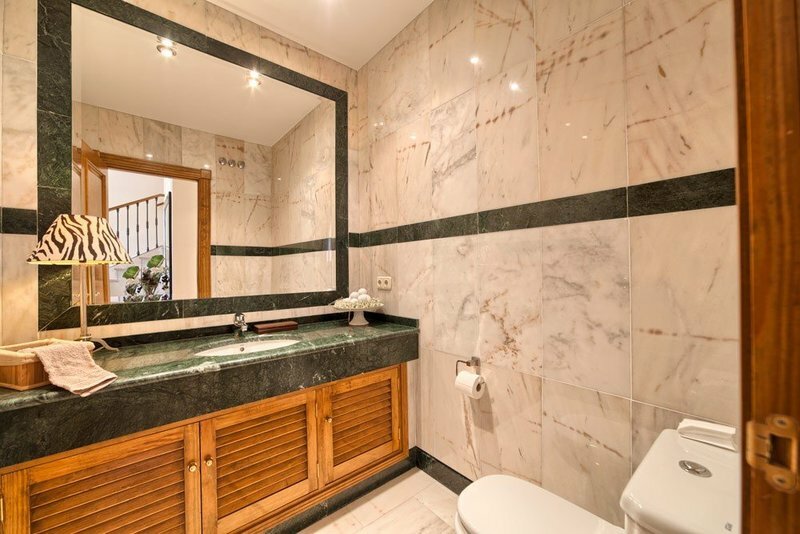 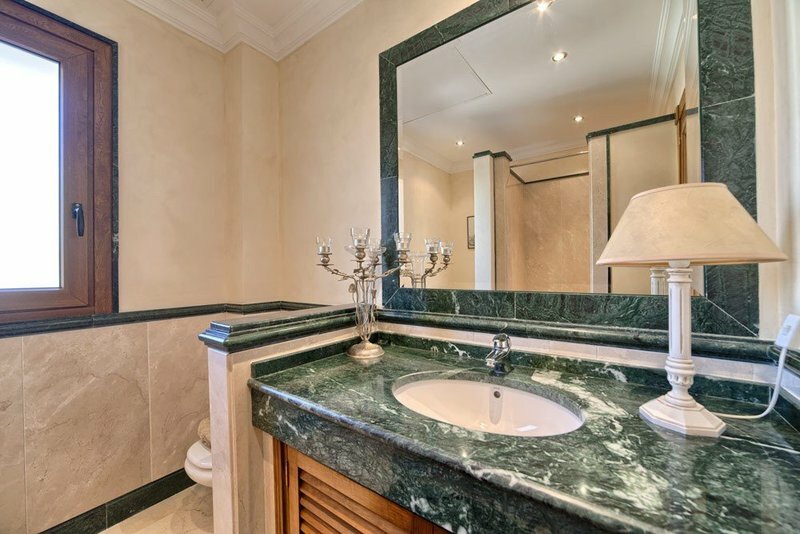 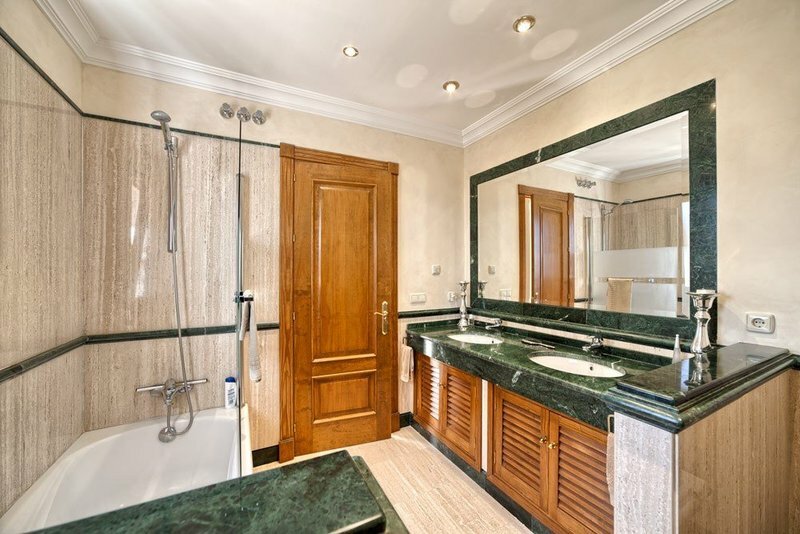 The villa enjoys a private elevator connected to all floors, air conditioning throughout,storage,electric shutters, alarm, BBQ area, and underfloor heating in bathrooms. 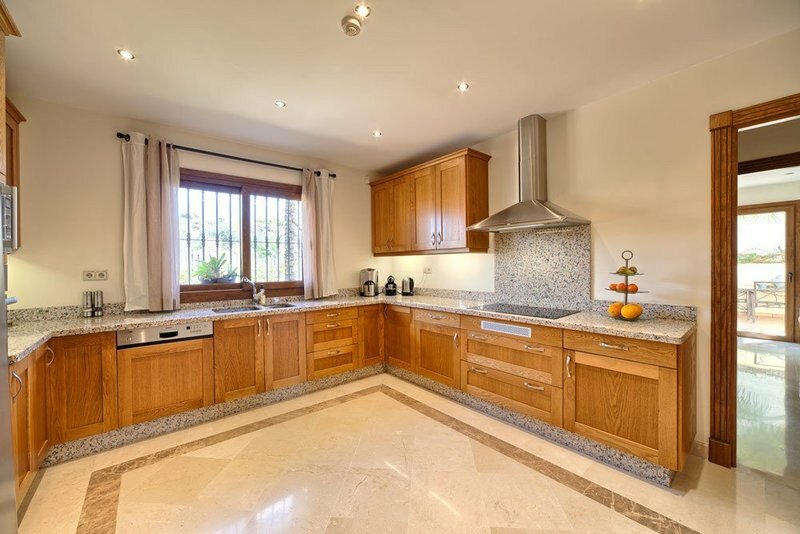 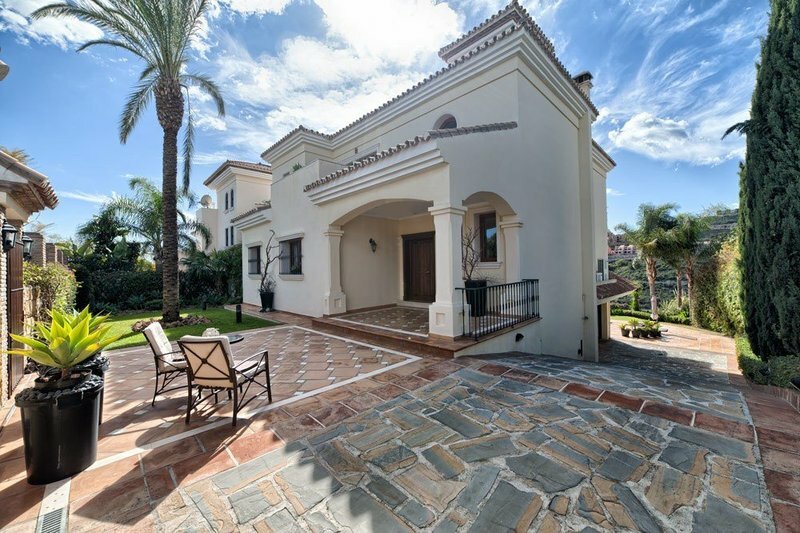 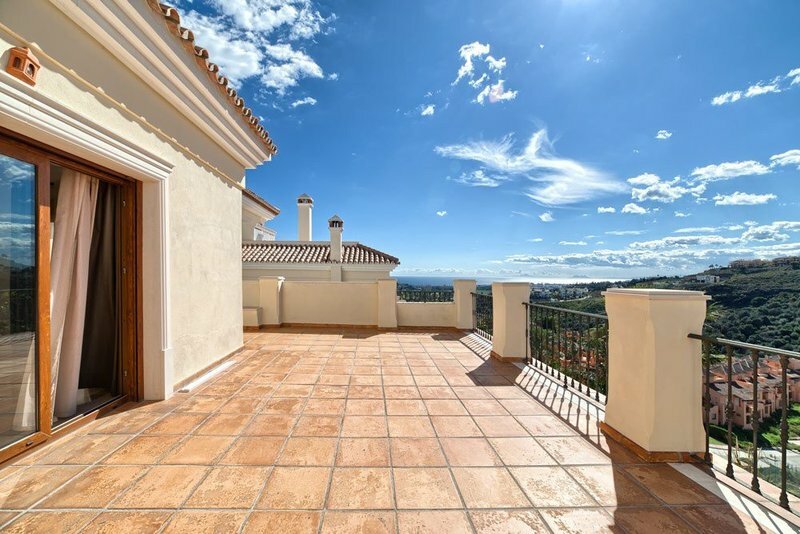 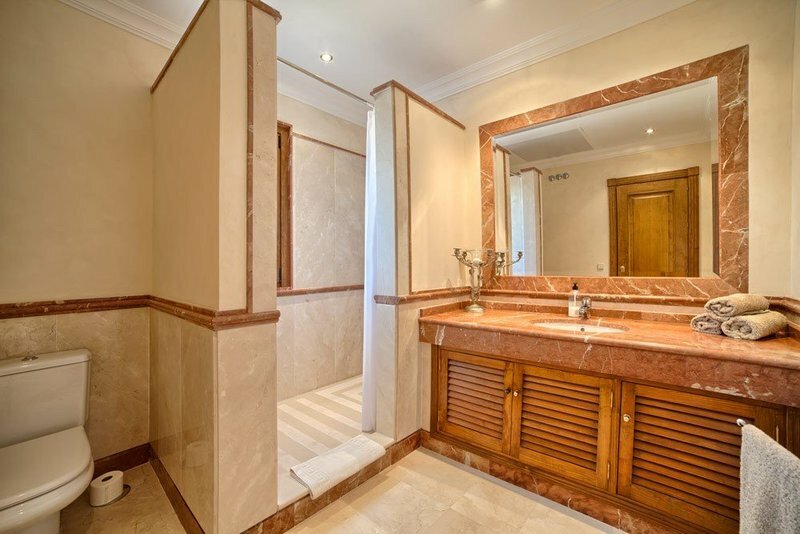 A great West Marbella home superbly priced to enjoy the Costa del Sol way of life at any time!